Romantic old fashion vintage china clip art set available in JPEG, PNG, and EPS Format. Romantic old fashion vintage china clip art set, ideal for crative paper craft for invitation cards or any other card designs. Retro pots ant teacups with original retro stylish decoration. Anne and I are not only into tea and writing we are both into arts and crafts. A couple of weeks ago we were chatting about a few new features to SororiTEA Sisters and we decided to include Tea Related Art and Crafting Supplies and Outlets within our Product Reviews! We felt there was a lack of joining the two interests – Tea and Arts/Crafts – online and on other Tea Review Sites so we decided since we try and include anything and everything TEA here at SororiTEA Sisters we would incorporate them here from time to time. I have been a fan of the designers over at MyGraficO for quite some time! I have been and are on a few design teams and can’t get enough of their Digital Stamps, Clip Art, Digital Papers, etc. 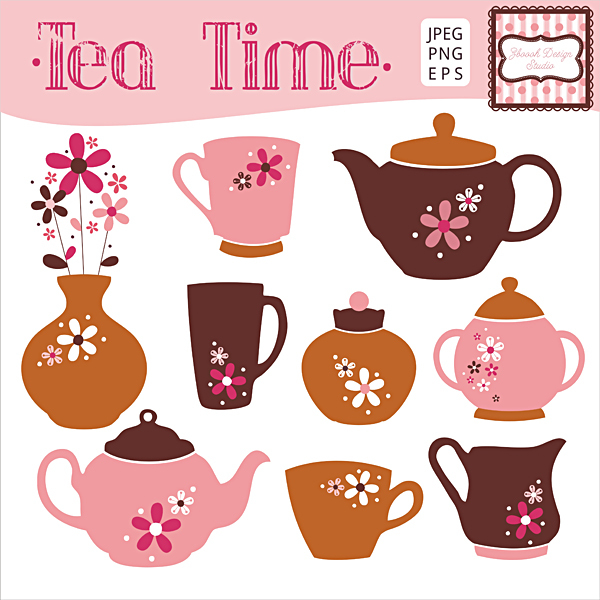 Lately I have noticed that MyGraficO has one of the better selections of Tea Related Digital Arts & Craft Components online. This made me VERY HAPPY! As you can see from the images above I decided to make a card from this set! 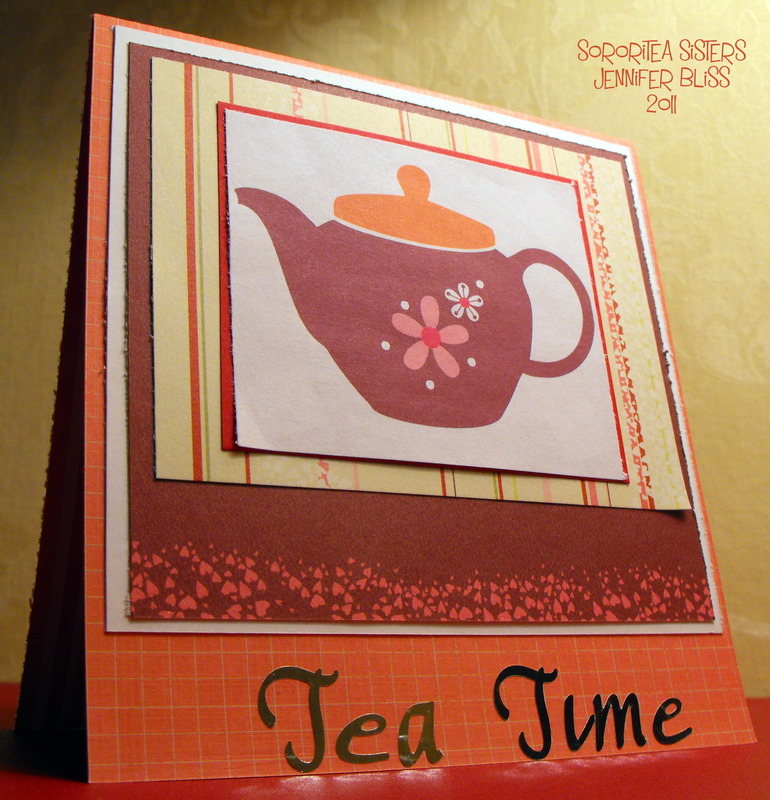 I make at least 3 Handmade Cards a week and I’m always looking for Tea Clipart and Digital Stamps to incorporate in my projects! I have been getting into some hybrid and altered paper projects as well and I’m sure I will blog about that down the road. There are some really neat things you can do with these sets! I have made Tea Swap Envelopes, Packages, Storage Containers, Album Title Pages, Altered Boxes and Tins, the list goes on and on! Anyways, I hope you like my first card. And I hope you take a moment to visit MyGraficO! There are TONS of things on that site! The Designers are great and the shop owner is even a TEA FAN herself! If you would like to read more about Digital Stamps – what they are – and how to use them – take a look at this article! Stay tuned to SororiTEA Sisters for more Tea Related Arts and Crafts along with more Tea Product Reviews!